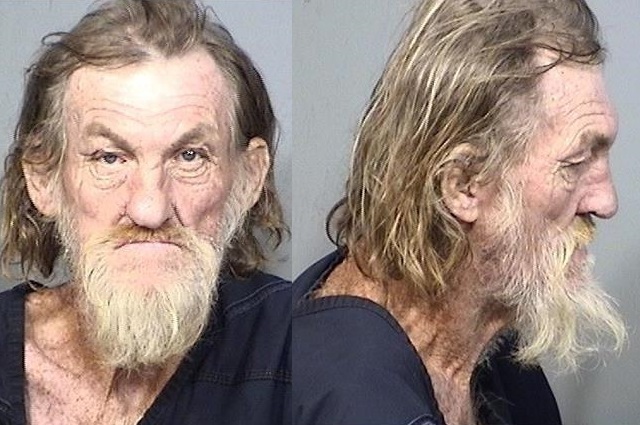 MELBOURNE, Florida - The Brevard County Sheriff’s Office has arrested 65-year-old John Martin Kelly III, for harboring an 11-year-old runaway girl early Wednesday morning. Kelly was arrested Wednesday afternoon after he was located at a convenience store in the City of Melbourne. He is charged with Interference with Child Custody and is being held at the Brevard County Jail on a $2000.00 Bond. The investigation started Wednesday morning after the child’s guardian reported her missing from her home in Melbourne. The child was last seen at the residence at approximately 2:00 a. m.
Investigators determined the child had encountered Kelly in the area of the Northgate Shopping Plaza off of Wickham Road. Investigators say that the child confided in Kelly that she was running away from home. Kelly then bought food for the child and offered to let her stay with him in his van as he was homeless. Kelly allegedly told the child that he would not contact law enforcement or her family. Kelly then drove the child to a wooded area in Melbourne where the child ran from the van after Kelly fell asleep. The child was later located at approximately 9:00 a.m. walking along Wickham Road, just south of Lake Washington Road, by a citizen who recognized the child from a social media post. The child was safely returned to her family. Anyone who may have information about this investigation is asked to please call Agent Stacie Moore of the Brevard County Sheriff’s Office, Special Victims Unit, at 321-633-8419 or CRIMELINE at 1-800-423-TIPS (8477). All calls to CRIMELINE are confidential and the caller may remain anonymous.